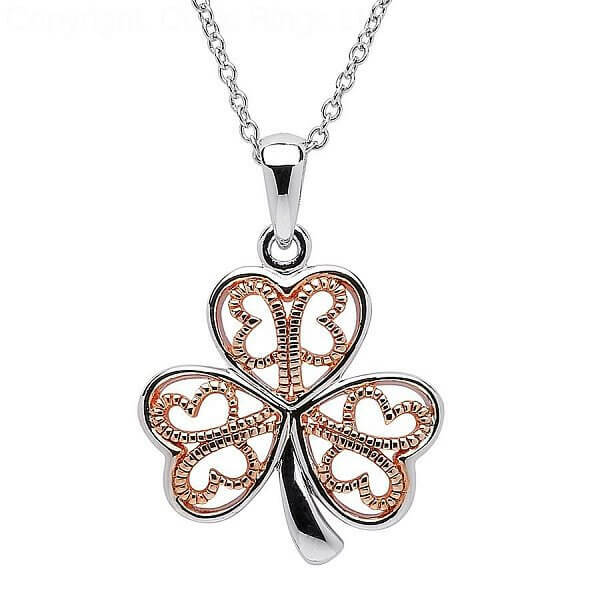 A wonderful two tone pendant, the Sterling silver Shamrock pendant with rose gold plated filigree is unique. 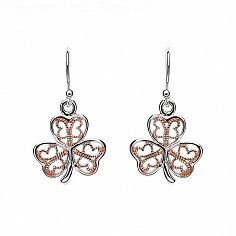 Represent your Irish heritage with this beautiful depiction of one of Ireland's best known symbols. Handcrafted in Ireland by skilled Irish artisans and hallmarked by the Dublin Assay Office.